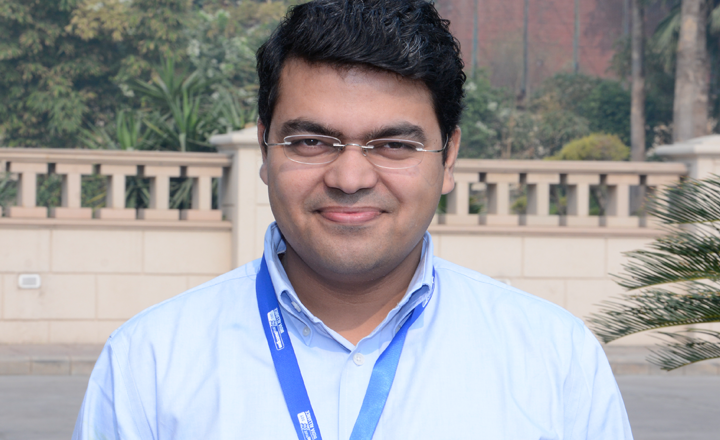 Arun Shukla is one of the 28 recipients of the prestigious EMBO Young Investigators Program this year. Four of these recipients are from Asia and Shukla is the only one from India. He joins a network of 47 current and 417 past group leaders awarded for their research and scientific potential. His selection comes from his work on Structure, function and allosteric modulation of G-protein coupled receptors, carried out at IIT-Kanpur. Congratulations on getting the EMBO-YIP fellowship. Can you tell us a bit about it? The EMBO Young Investigators Program (YIP) allows my laboratory to access the top-notch experimental facilities e.g. cryo-EM available at EMBL. It also provides an excellent opportunity for networking with many young group leaders from different countries working on a variety of cutting-edge research problems. It is a unique platform to forge new collaborations and carry out interdisciplinary science. I am absolutely thrilled to be a part of the EMBO network. How do you plan to utilise your access to these top-notch research facilities? How will it help your research? We are focused on the direct structural characterisation of highly challenging membrane proteins and their signalling complexes, GPCRs in particular. We require access to sophisticated facilities like cryo-EM, micro-focused x-ray beamlines and x-ray free electron laser (x-FEL) to generate structural snapshots of our signalling complexes. These facilities are not available (or at least not fully functional) in India yet. Therefore, I am very excited that the students and fellows in my laboratory will be able to access these facilities at EMBL in Heidelberg and Hamburg. We plan to ship our samples (like purified proteins, protein crystals) and then either do remote data collection or be there in person to analyse our samples. In your Nature interview, you said, “we have to make discoveries and not just publish papers”. The current scenario may not always be conducive to taking this path. How does one work around the pressure to ‘publish or perish’? Well, it continues to be a battle in the Indian context where people seem to put a lot of weight on quantity over quality. But, I think a change in the mindset is happening slowly. There are funding agencies, for example, the Wellcome Trust-DBT India Alliance, that recognise and support excellence and cutting-edge science in India. I think one can draw motivation from the fact that good science done in India is being recognised more and more at the international level. When applying for grants, researchers are often assessed based on the number of papers they’ve published. What alternative metrics can be used for such assessments, especially in the Indian context? I think this number game is indeed killing us at multiple levels. We should clearly put the emphasis on the importance of the scientific question one is trying to address and the likely impact of the outcomes. We can identify key research areas where India lacks a global presence, and put more effort on them. For example, structural biology of membrane proteins has been one such niche area, and a few of us actively engaged in this research domain have been making a case with funding agencies. Thankfully, DBT has now recognised it and announced a focused call for proposals on this topic. We clearly need more initiatives like this. You had the opportunity to work with three Nobel Laureates. How did they influence the scientist in you? I think that the most important thing I learnt from them is to focus on big questions and address the research problems that have the potential to shape the future direction of the field. I have been fortunate to see closely how passionate and invested these people are about their research and that has been the key to their success. I try to pass on the same philosophy to the students and fellows in my laboratory, and I am absolutely delighted to see that they subscribe to it. What is your advice to students who have faced failures during their scientific journey? Maybe you can share your own experience on how you deal with them. Well, failure is an integral part of our trade. If we succeed at most things that we try, then it means that perhaps we are not working on challenging problems. I think the key is to learn something even from the failed experiments and integrate that information in designing the next experiment to be able to have a better shot. The beauty of science is that you never know where it will take you. So, one should have patience, perseverance and an open mind. It is also crucial to always keep eyes open for new leads, hints and indications that might turn into important breakthroughs. How do you scale your decision to come back to India? How easy has it been? Well, the decision to come back was easy because I always had this in the back of my mind. The key was to land in the right place. An institution where excellence is recognised, appreciated, nurtured and promoted. And, IIT Kanpur has been an incredible place to start an independent career. Thankfully, the funding agencies like Wellcome Trust DBT India Alliance have appreciated and supported the research program in my laboratory. I can say without hesitation that working with superbly talented, incredibly hard working and tremendously motivated students and fellows has been the best part of the journey so far. Looking back, it also gives me an immense sense of satisfaction that our work in the last few years has put India on the international map of structural biology of membrane proteins, GPCRs in particular. There are a lot of things in the system that need to be fixed and issues that need be addressed in order for us to do truly cutting-edge science in India. But clearly, there has been a positive swing in the right direction over the last few years, and the future is bright. The pace of research is slower compared to the West due to delays associated with procuring the reagents and lack of some key infrastructure but I believe that a careful reorganisation of the research funding landscape can help us offset some of these limitations. I personally think that being one among many leaders in a particular domain is not enough; we have to dominate at the international level, at least in some research areas. We have been playing catch up for too long. It is time now for us to lead globally and show the way. What do you think it takes to click as a student or a scientist? I think the most important things are passion, focus and curiosity. One has to work hard, be aware of the latest developments in the field, and have a pulse on where the field is headed. I also believe that one has to be ambitious and have a tad of aggression to be globally competitive and do cutting-edge research. It also helps to shield yourself from surrounding mediocrity and not get sucked into it; the temptation, as you can imagine, is high.